Josephine Garis Cochran (later Cochrane) (March 8, 1839 in Ashtabula County, Ohio – August 14, 1913 (age 74) in Chicago, Illinois) was the inventor of the first commercially successful automatic dishwasher, which she constructed together with mechanic George Butters. Cochran was posthumously inducted into the National Inventors Hall of Fame in 2006 for her invention of the dishwasher.Josephine Cochrane, inventor of the first commercially successful dishwashing machine, was born in Shelbyville, Illinois in 1839. Her father was a civil engineer, and her great grandfather, John Fitch, was an inventor known for his steamboat-related innovations. Cochrane, thus, may have had creative tendencies in her family. However, she was not formally educated in the sciences. Cochrane was a socialite. She and her husband, William, often entertained guests at their home. Accustomed to having servants do much of her housework for her, Cochrane did not set out to create the dishwasher to relieve her of the hard work of manually doing the dishes. Rather, the idea came to her when she grew frustrated that her fine china was chipping, mostly by the harsh handling it suffered by the servants as they scrubbed it in the sink. At first, Cochrane tried washing the dishes herself. But she found the task burdensome and thought to herself that there must be a better way. She worked out a design, one that employed water jets and a dishrack that would hold the soiled tableware in place. Soon after she first began working on the design, her husband passed away, and she was left with debt. This tragedy gave Cochrane a push. She became driven in her desire to create a successful model of her machine. Though others had attempted to create similar devices—a hand-cranked model was patented, for example, in 1850—none had become commercially viable. She was determined that her machine could meet a real consumer need. Working in a shed behind her home, Cochrane got to work. She measured the dishes and constructed wire compartments to fit plates, cups, and saucers, and placed these inside a wheel that laid flat within a copper boiler. The wheel turned, powered by a motor, and soapy water would squirt up over the dishes to clean them. In 1886, she patented her design and began making them for friends, calling the machine the “Cochrane Dishwasher.” She also advertised the machines in local newspapers. She established Cochran’s Crescent Washing Machine Company, and soon restaurants and hotels became interested. In 1893, Cochrane presented her machine at the Chicago World’s Fair, where she won an award for its design and durability. Initially, the machines sold well to businesses but not to individual consumers. Some homemakers admitted that they enjoyed washing dishes by hand, and the machines reportedly left a soapy residue on the dishes. They also demanded a great deal of hot water, and many homes did not have hot water heaters large enough to supply the machine sufficiently. The machines’ popularity skyrocketed in the 1950s, when technology, womens’ attitudes toward housework, and dishwashing detergent, changed in the dishwasher’s favor. Today, the dishwasher is a part of the typical American household. Cochrane’s company eventually became KitchenAid, part of the Whirlpool Corporation. 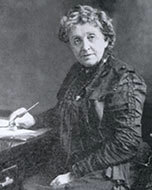 She died in 1913 at the age of 74. Joseph Bramah, (born April 13, 1748, Stainborough, Yorkshire, Eng.—died Dec. 9, 1814, London), engineer and inventor whose lock-manufacturing shop was the cradle of the British machine-tool industry. Originally a cabinetmaker, Bramah became interested in the problem of devising a pick-proof lock. In 1784 he exhibited his new lock in his shop window, with a sign offering a reward of 200 guineas to anyone who could pick it. Despite many attempts, the Bramah lock defied all efforts for 67 years, until it was finally opened by a mechanic after 51 hours’ work. The success of the lock was won at the price of complexity, and it could be produced in quantity only after the creation of a whole set of well-designed and precisely engineered machine tools. To assist in making them, he hired a young blacksmith, Henry Maudslay, who proved to be an engineering genius. The prototype machines designed and built by Bramah and Maudslay went far toward founding the machine-tool industry, the basis of the vast expansion of British manufacturing in the 19th century. Of Bramah’s other inventions the most notable is his hydraulic press; he also invented an improved water closet, a wood-planing machine, and a machine for numbering bank notes. 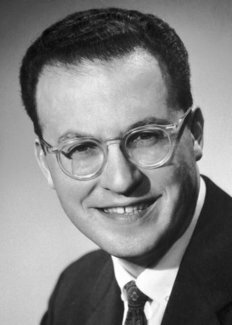 Gersh Itskovich Budker, (born May 1, 1918, Murafa, near Vinnitsa, Ukraine—died July 4, 1977, Novosibirsk, Russia, U.S.S.R.), Soviet physicist who developed new methods of particle acceleration in high-energy physics. Budker graduated from Moscow State University in 1941 and served in air defense during World War II. In 1945 he started working in Laboratory #2 (subsequently renamed the Kurchatov Institute of Atomic Energy) in Moscow on the theory of nuclear reactions; he received a doctorate for this work in 1950. After taking part in the construction of a proton accelerator in Dubna, Budker shifted his research to relativistic plasma physics. In 1952 he proposed the idea of a stabilized electron beam and also suggested plasma traps with magnetic mirrors for controlling nuclear fusion. In 1958 Budker organized—and directed until his death—the Nuclear Physics Institute in Akademgorodok (near Novosibirsk) as part of the new Siberian branch of the U.S.S.R. Academy of Sciences. From 1965 to 1967, he constructed electron and electron-positron accelerators based on a new method of colliding beams, and in 1966 he invented a method of using electrons to cool (slow) heavier particles. 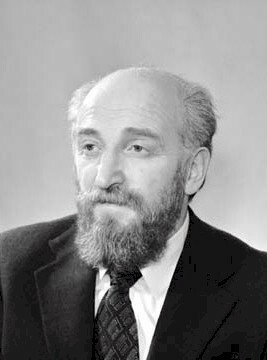 Budker was elected a corresponding member (1958) and a full member (1964) of the Academy of Sciences. David Lee Chaum (born 1955) is an American computer scientist and cryptographer. He is famous for developing ecash, an electronic cash application that aims to preserve a user’s anonymity. He has also invented many cryptographic protocols and founded DigiCash, an electronic money corporation. His 1981 paper, "Untraceable Electronic Mail, Return Addresses, and Digital Pseudonyms", laid the groundwork for the field of anonymous communications research. Chaum gained a doctorate in computer science and business administration from the University of California, Berkeley in 1982. Also that year, he founded the International Association for Cryptologic Research (IACR), which currently organizes academic conferences in cryptography research. Subsequently, he taught at the New York University Graduate School of Business Administration and at the University of California, Santa Barbara (UCSB). He also formed a cryptography research group at the National Research Institute for Mathematics and Computer Science (CWI) in Amsterdam, The Netherlands. He founded DigiCash, an electronic cash company, in 1990. Chaum received the Information Technology European Award for 1995. In 2004, he was named an IACR Fellow. In 2010, he received the RSA Conference award for excellence in the field of mathematics. Chaum is credited as the inventor of secure digital cash for his 1982 paper, which also introduced the cryptographic primitive of a blind signature. These ideas have been described as the technical roots of the vision of the Cypherpunk movement that began in the late 1980s. Chaum's proposal allowed users to obtain digital currency from a bank and spend it in a manner that is untraceable by the bank or any other party. In 1988, he extended this idea (with Amos Fiat and Moni Naor) to allow offline transactions that enable detection of double-spending. In 1990, he founded DigiCash, an electronic cash company, in Amsterdam to commercialize the ideas in his research. The first electronic payment was sent in 1994. In 1999, Chaum left the company. In the same 1982 paper that proposed digital cash, Chaum introduced blind signatures. This form of digital signature blinds the content of a message before it is signed, so that the signer cannot determine the content. The resulting blind signature can be publicly verified against the original, unblinded message in the manner of a regular digital signature. In 1989, he (with Hans van Antwerpen) introduced undeniable signatures. This form of digital signature uses a verification process that is interactive, so that the signatory can limit who can verify the signature. Since signers may refuse to participate in the verification process, signatures are considered valid unless a signer specifically uses a disavowal protocol to prove that a given signature was not authentic. In 1991, he (with Eugene van Heyst) introduced group signatures, which allow a member of a group to anonymously sign a message on behalf of the entire group. However an appointed group manager holds the power to revoke the anonymity of any signer in the case of disputes. In 1981, Chaum proposed the idea of an anonymous communication network in a paper. His proposal, called mix networks, allows a group of senders to submit an encryption of a message and its recipient to a server. Once the server has a batch of messages, it will reorder and obfuscate the messages so that only this server knows which message came from which sender. The batch is then forwarded to another server who does the same process. Eventually, the messages reach the final server where they are fully decrypted and delivered to the recipient. A mechanism to allow return messages is also proposed. Mix networks are the basis of some remailers and are the conceptual ancestor to modern anonymous web browsing tools like Tor (based on onion routing). Chaum has advocated that every router be made, effectively, a Tor node. In 1988, Chaum introduced a different type of anonymous communication system called a DC-Net, which is a solution to his proposed Dining Cryptographers Problem. DC-Nets is the basis of the software tool Dissent. Chaum has made numerous contributions to secure voting systems, including the first proposal of a system that is end-to-end verifiable. This proposal, made in 1981, was given as an application of mix networks. In this system, the individual ballots of voters were kept private which anyone could verify that the tally was counted correctly. This, and other early cryptographic voting systems, assumed that voters could reliably compute values with their personal computers. In 1991, Chaum introduced SureVote which allowed voters to cast a ballot from an untrustworthy voting system, proposing a process now called "code voting" and used in remote voting systems like Remotegrity. In 1994, Chaum introduced the first in-person voting system in which voters cast ballots electronically at a polling station and cryptographically verify that the DRE did not modify their vote (or even learn what it was). In the following years, Chaum proposed (often with others) a series a cryptographically verifiable voting systems that use conventional paper ballots: Pret a Voter, Punchscan, and Scantegrity. The city of Takoma Park, Maryland used Scantegrity for its November, 2009 election. This was the first time a public sector election was run using any cryptographically verifiable voting system. In 2011, Chaum proposed Random Sample Elections. This electoral system allows a verifiably random selection of voters, who can maintain their anonymity, to cast votes on behalf the entire electorate. A near eye display patent application authored by David Chaum has been updated. "PERSPECTIVA - All styles of eyeglasses can be upgraded to overlay, anywhere you can see through them, digital imagary that is of unbeatable quality." "Invented then founded and led an effort that has demonstrated feasibility of a new paradigm for delivering light that digitally deconstructs images so that they can be reconstructed on the retina with dynamic focus and exquisite clarity." This augmented reality technology seems similar to Magic Leap, Hololens, and Oculus. In 1979, Chaum proposed a mechanism for splitting a key into partial keys, a predecessor to secret sharing. In 1985, Chaum proposed the original anonymous credential system, which is sometimes also referred to as a pseudonym system. This stems from the fact that the credentials of such a system are obtained from and shown to organizations using different pseudonyms which cannot be linked. In 1988, Chaum with Gilles Brassard and Claude Crepeau published a paper that introduced zero-knowledge arguments, as well as a security model using information-theoretic private-channels, and also first formalized the concept of a commitment scheme. 1991, with Torben Pedersen, he demonstrated a well-cited zero-knowledge proof of a DDH tuple. This proof is particularly useful as it can prove proper reencryption of an Elgamal ciphertext. Chaum contributed to an important commitment scheme which is often attributed to Pedersen. In fact, Pedersen, in his 1991 paper, cites a rump session talk on an unpublished paper by Jurjen Bos and Chaum for the scheme. It appeared even earlier in a paper by Chaum, Damgard, and Jeroen van de Graaf. The scheme is widely used as it is a simple perfectly hiding commitment, that is binding assuming the hardness of the discrete logarithm problem. In 1993 with Stefan Brands, Chaum introduced the concept of a distance-bounding protocol. Using round-trip delay based on the speed of light, it allows one party to establish an upper-bound on the physical distance from another in an authenticated way. Robert Dennard, in full Robert Heath Denard, (born September 5, 1932, Terrell, Texas, U.S.), American engineer credited with the invention of the one-transistor cell for dynamic random-access memory (DRAM) and with pioneering the set of consistent scaling principles that underlie the improved performance of increasingly miniaturized integrated circuits, two pivotal innovations that helped spur more than three decades of growth in the computer industry. Dennard received a B.S. (1954) and an M.S. (1956) in electrical engineering from Southern Methodist University, Dallas, and a Ph.D. (1958) from Carnegie Institute of Technology (now Carnegie Mellon University), Pittsburgh. He joined the International Business Machines Corporation (IBM) in 1958 as a staff engineer and first worked on memory and logic circuits and on the development of data communication techniques. In the early 1960s he began focusing on microelectronics. His design for one-transistor-cell DRAM improved upon other types of computer memory that were then in development (including a memory system consisting of wire mesh and magnetic rings), and in 1968 Dennard was granted a patent for the design. It was one of more than four dozen patents that he was eventually issued. 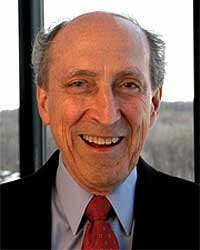 Dennard was given the title of IBM fellow in 1979, and he held several positions over the length of his career of more than 50 years with the company. DRAM consists of an array of semiconductor memory cells that are integrated on a silicon chip. The type of memory cell invented by Dennard in the 1960s used a single metal-oxide-semiconductor (MOS) transistor to store and read binary data as an electrical charge on a MOS capacitor, and the high-density memory made possible by that design resulted in relatively low production costs and power requirements for DRAM. Following its introduction as a commercial product in the 1970s, one-transistor-cell DRAM was extensively used in computers and other electronic devices. With miniaturization, it was possible to develop DRAM chips that contain billions of memory cells. Dennard was elected to the U.S. National Academy of Engineering in 1984 and was inducted into the U.S. National Inventors Hall of Fame in 1997. Among the other awards and honours that Dennard garnered were the U.S. National Medal of Technology and Innovation, which he received (1988) from U.S. Pres. Ronald Reagan, and the 2005 Lemelson-MIT (Massachusetts Institute of Technology) Lifetime Achievement Award. In 2009 he received both the Medal of Honor from the Institute of Electrical and Electronics Engineers and the National Academy of Engineering’s Charles Stark Draper Prize. 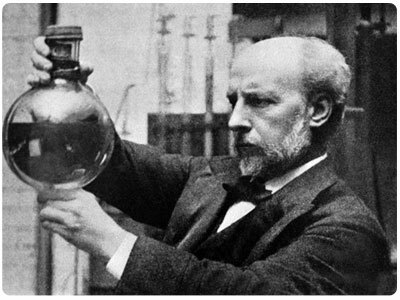 Sir James Dewar, (born Sept. 20, 1842, Kincardine-on-Forth, Scot.—died March 27, 1923, London, Eng. ), British chemist and physicist whose study of low-temperature phenomena entailed the use of a double-walled vacuum flask of his own design which has been named for him. Educated at the University of Edinburgh, Dewar became a professor at the University of Cambridge (1875) and at the Royal Institution of Great Britain, London (1877), holding both posts throughout his life. Dewar developed structural formulas for benzene (1867), did research in spectroscopy for more than 25 years, and by 1891 had constructed a machine for producing liquid oxygen in quantity. About 1892 he conceived the idea of using vacuum-jacketed vessels for the storage of low-temperature liquid gases, and the resulting device proved so efficient in preventing the influx of external heat that it became an essential tool in low-temperature scientific work. The principle of the Dewar flask has also been used extensively in the common thermos bottle. Dewar was subsequently the first to liquefy hydrogen gas (1898) and to solidify it (1899). He was knighted in 1904. His discovery (1905) that cooled charcoal can be used to help create high vacuums later proved useful in atomic physics. With Sir Frederick Augustus Abel he developed cordite, an explosive. 424) J. Presper Eckert, Jr.
J. Presper Eckert, Jr., in full John Presper Eckert, Jr., (born April 9, 1919, Philadelphia, Pa., U.S.—died June 3, 1995, Bryn Mawr, Pa.), American engineer and coinventor of the first general-purpose electronic computer, a digital machine that was the prototype for most computers in use today. Eckert was educated at the Moore School of Electrical Engineering at the University of Pennsylvania, Philadelphia (B.S., 1941; M.S., 1943), where he and his professor, John W. Mauchly, made several valuable improvements in computing equipment. In 1946 the pair fulfilled a government contract to build a digital computer, which they called ENIAC (Electronic Numerical Integrator and Computer). In primitive form, ENIAC contained virtually all the circuitry used in present-day high-speed digital computers. It was used by the U.S. Army for military calculations. In 1948 Eckert and Mauchly established a computer-manufacturing firm; a year later, they introduced BINAC (Binary Automatic Computer), which stored information on magnetic tape rather than on punched cards. Designed to handle business data, UNIVAC I (Universal Automatic Computer), Eckert and Mauchly’s third model, found many uses in commerce and may be said to have started the computer boom. Between 1948 and 1966 Eckert received 85 patents, mostly for electronic inventions. Eckert remained in executive positions at his company when it was acquired by Remington Rand, Inc., in 1950 and when that firm was, in 1955, merged into the Sperry Rand Corp. (later Unisys Corp.). Eckert was elected to the National Academy of Engineering in 1967 and was awarded the National Medal of Science in 1968. Donald A. Glaser, in full Donald Arthur Glaser, (born September 21, 1926, Cleveland, Ohio, U.S.—died February 28, 2013, Berkeley, California), American physicist and recipient of the 1960 Nobel Prize for Physics for his invention (1952) and development of the bubble chamber, a research instrument used in high-energy physics laboratories to observe the behaviour of subatomic particles. After graduating from Case Institute of Technology, Cleveland, in 1946, Glaser attended the California Institute of Technology, Pasadena, where he received a Ph.D. in physics and mathematics in 1950. He then began teaching at the University of Michigan, where he became a professor in 1957. Glaser conducted research with Nobelist Carl Anderson, who was using cloud chambers to study cosmic rays. Glaser, recognizing that cloud chambers had a number of limitations, created a bubble chamber to learn about the pathways of subatomic particles. Because of the relatively high density of the bubble-chamber liquid (as opposed to the vapour that filled cloud chambers), collisions producing rare reactions were more frequent and were observable in finer detail. New collisions could be recorded every few seconds when the chamber was exposed to bursts of high-speed particles from particle accelerators. As a result, physicists were able to discover the existence of a host of new particles, notably quarks. At the age of 34, Glaser became one of the youngest scientists ever to be awarded a Nobel Prize. 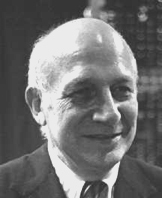 In 1959 Glaser joined the staff of the University of California, Berkeley, where he became a professor of physics and molecular biology in 1964. In 1971 he cofounded the Cetus Corp., a biotechnology company that developed interleukin-2 and interferon for cancer therapy. The firm was sold (1991) to Chiron Corp., which was later acquired by Novartis. In the 1980s Glaser turned to the field of neurobiology and conducted experiments on vision and how it is processed by the human brain. Ole Evinrude, (born April 19, 1877, Norway—died July 12, 1934, Milwaukee), Norwegian-American inventor of the first commercially successful outboard marine internal-combustion engine. Evinrude began work on this project in 1906 and by 1909 had developed a one-cylinder power plant rated at 1.5 horsepower. Subsequent outboard motors followed his transmission design, which used a vertical drive shaft with bevel gears (a set of two wheellike gears the teeth of which engage at an angle). In 1910 he founded Evinrude Motors in Milwaukee; renamed Outboard Motor Corporation, the firm was merged with Johnson Motor Company in 1936 to form the Outboard Marine Corporation. The inventor’s son Ralph Evinrude (1907–1986) was the chief organizer and first president of the new corporation. James Lee Fergason (January 12, 1934 – December 9, 2008) was an American inventor and business entrepreneur. A member of the National Inventors Hall of Fame, Fergason is best known for his work on an improved Liquid Crystal Display, or LCD. He held over one hundred U.S. patents at the time of his death. James Lee "Jim" Fergason was born on a farm near the small town of Wakenda, Carroll County, Missouri. He was educated in a one-room schoolhouse until the 7th grade when his family moved to the county seat of Carrollton. The Fergason family had something of a reputation for educational over achievement. One grandfather graduated from college at age fifteen, while two of Fergason's older brothers studied chemical engineering and electrical engineering respectively. A cousin was an agricultural engineer who had over 100 patents for his machinery inventions. Following his graduation from Carrollton High School in 1952 he enrolled at the University of Missouri, earning a Bachelor's Degree in physics in 1956. Fergason married his wife Dora the week after graduation from Mizzou, then reported for a brief tour of duty as a second lieutenant with the United States Army in Texas. After his discharge from the Army, Fergason was hired by Westinghouse Research Laboratories in Pennsylvania. At Westinghouse he began groundbreaking work with cholesteric liquid crystals, forming the first industrial research group into the practical uses of the technology. For this work Fergason earned his first patent (U.S. Patent 3,114,836) in 1963. Among the later uses for his research and first patent were the 1970s pop culture icon the mood ring, and the Liquid crystal thermometer. In June 1966, Fergason joined the Liquid Crystal Institute at Kent State University as its associate director. Here, in 1969, he made his seminal discovery of a low-power, field-operated LC display, known as the twisted nematic cell. Also at LCI, Fergason was part of an effort to use cholesteric liquid crystals for thermal mapping, in particular, to screen for breast cancer. He participated in the discovery of smectic C liquid crystal phase. Twisted nematic liquid crystal displays were superior to the earlier dynamic scattering displays, and soon became widespread. The technology was patented in the United States by Fergason in 1971. He formed his own company, ILIXCO, in 1968 to manufacture liquid crystal displays. His first customers were the Bulova Watch Company and Gruen Watch Company which used the technology to market the first LCD watches using this technology. By the end of the decade, most of the world's digital watches used this kind of LCD. Fergason held over 150 patents in the United States and over 500 foreign patents. He also was inducted into the National Inventors Hall of Fame. In 2001, he founded Fergason Patent Properties, which managed licensing of his patents. In 2001, he was awarded an honorary doctorate from the University of Missouri, in 2006 he was the recipient of the Lemelson-MIT Prize, in 2007 he was awarded the David Richardson Medal by the Optical Society of America, and in 2008 he received the Jun-Ichi Nishizawa Medal from the Institute of Electrical and Electronics Engineers. Fergason died at age 74. He was survived by his wife Dora and their four children, Teresa, Jeffrey, John and Susan, his 10 grandchildren and his brother Lewis. Adolf Gaston Eugen Fick (February 22, 1852, Marburg – February 11, 1937, Herrsching am Ammersee) was a German ophthalmologist who invented the contact lens. He was the nephew of the German physiologist Adolf Eugen Fick, and the son of the German anatomy professor Franz Ludwig Fick. At three years old, his mother died, and at six, his father, anatomy professor Ludwig Fick, died. Soon afterwards, he was raised in Adolf Fick's family; Adolf Fick was his uncle, godfather, and a famous physiologist that influenced his studies in ophthalmology. He studied medicine in Würzburg, Zürich, Marburg, and Freiburg. In 1884, Fick traveled to Germany to marry Marie, the daughter of Johannes Wislicenus; he later had eight children with her. In 1888, he constructed and fitted what was to be considered the first successful model of a contact lens: an afocal scleral contact shell made from heavy brown glass, which he tested first on rabbits, then on himself, and lastly on a small group of volunteers. It was considered the first successful model of a contact lens. His idea was advanced independently by several innovators in the years that followed. During World War I, Fick headed field hospitals in France, Russia and Turkey. At the same time he continued working on ophthalmologic anatomy and optics. 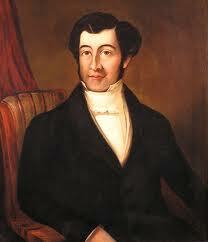 429) John Heysham Gibbon Jr. Inventor of the heart-lung machine, John H. Gibbon, Jr., first demonstrated that life can be maintained by an external pump acting as an artificial heart during an operation on a cat in 1935. Eighteen years later, in 1953, Gibbon performed the first successful open-heart operation using a heart-lung machine. Born in Philadelphia on September 29, 1903, Gibbon was the second of four children born to John Heysham Gibbon (a surgeon) and Marjorie Young Gibbon. He earned his B.A. from Princeton Universityin 1923, and his M.D. from Jefferson Medical College in Philadelphia in 1927. He completed his internship at Pennsylvania Hospital in 1929, and in 1930 went to Harvard Medical School as a research fellow in surgery. In 1931 Gibbon married Mary Hopkinson, a surgical researcher, and took a position as fellow in medicine at the University of Pennsylvania School of Medicine. In the same year he became assistant surgeon at Pennsylvania Hospital. In 1934 he went to work as a research fellow in surgery at Harvard Medical School, where he developed the first generation of his heart-lung machine using a rotating blood-film oxygenator. Then, on May 10, 1935, he made his first successful use of the heart-lung machine during an operation on a cat in which the device took over cardiac and respiratory functions. Gibbon began work as a surgeon at Pennsylvania Hospital in 1937, and in the following year developed a second-generation version of his machine using DeBakey roller pumps. In 1940, before America entered World War II, he joined the U.S. Army Reserves as a major in the medical corps, and in 1942 was sent on active duty to New Caledonia in the south Pacific. He was promoted to the rank of lieutenant colonel in 1944, and in 1945 acted as chief of surgical service at Mayo General Hospital in Galensburg, Illinois. From 1945 to 1946, Gibbon worked as assistant professor of surgery at the University of Pennsylvania School of Medicine, and served as a member of council for the American Association of Thoracic Surgery. He became professor of surgery and director of surgical research at Jefferson Medical College, as well as attending surgeon at Jefferson Medical College Hospital, in 1946. Gibbon held both positions for 10 years, and served as chairman of the editorial board for Annals of Surgery from 1947 to 1957. In 1949 IBM developed the model I heart-lung machine with a revolving film oxygenator, and in 1951 produced the model II oxygenator. On May 6, 1953, Gibbon performed the first successful bypass surgery, the repair of an atrial septal defect on an 18-year-old female, using the heart-lung machine. In 1954 IBM produced its model III, which cost $79,650—or about $320,000 in 1990s dollars. In 1956 Gibbon became the Samuel D. Gross professor of surgery and head of the surgery department at Jefferson Medical College and Hospital, positions he would hold until 1967. During this same period, he worked as attending surgeon in chief. Gibbon also worked as consulting surgeon at Pennsylvania Hospital and as consultant in general surgery for the Veterans Administration Hospital in Philadelphia from 1950 to 1967. In 1959 he was appointed Taub visiting professor of surgery at Baylor Medical College, and in 1960 visiting professor of surgery at Harvard Medical School. Gibbon served as a member, fellow, and officer of numerous professional organizations, ranging from the board of governors for the American College of Surgeons (1950-64) to the Pennsylvania Medical Society, for which he served as delegate at large from 1961-63. He held posts and memberships on some two dozen other organizations. His awards included the Distinguished Service Award from the International College of Surgery (1959), an honorary fellowship from the Royal College of Surgeons in England (1959), the Gairdner Foundation International Award from the University of Toronto (1960), an honorary Sc.D. from Princeton University (1961) and the University of Pennsylvania (1965), the Research Achievement Award from the American Heart Association (1965); the Albert Lasker Clinical Research Award (1968), the Dixon Prize in Medicine from the University of Pennsylvania (1972), and many others. Gibbon himself suffered from heart trouble in his later years. He had his first myocardial infarction in July 1972, and died of a massive myocardial infarction while playing tennis on February 5, 1973. 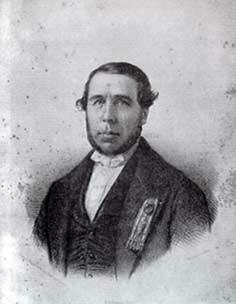 Samuel Guthrie (1782–1848) was an American physician from Hounsfield, New York. He invented a form of percussion powder and also the punch lock for igniting it, which made the flintlock musket obsolete. He discovered chloroform independently in 1831. Samuel Guthrie was a 19th-century physician and chemist who discovered the anaesthetic chloroform (trichloromethane) in 1831, by distilling chloride of lime with alcohol in a copper barrel, using it as a mild anesthetic in amputation surgeries. The same chemical compound was discovered independently by a French scientist, Eugène Soubeiran, in October 1831, and by the German chemist Justus von Liebig in November 1831, but Guthrie wrote of his findings in the summer of the same year, so he is generally acknowledged as the discoverer. At the age of 22, Samuel Guthrie Jr. married Sybil Sexton, who was originally from Connecticut. They traveled by way of horse and buggy to the nearby village of Smyrna to be married. During the winter of 1810 to 1811, Guthrie studied at the College of Physicians and Surgeons of New York (which is now Columbia University.) In January 1815, he listened to lectures at the University of Pennsylvania. These courses constituted his entire formal education. In 1817, Samuel Guthrie Jr. moved to Sackets Harbor, New York, Jefferson County, in northern New York where he opened up practice as a rural doctor. In addition to his medical practice, Dr. Guthrie was a successful businessman, best known in his time for manufacturing chloric ether, vinegar, and priming powder for firearms which made flintlock muskets obsolete. He also invented a process for converting potato starch into molasses and he distilled an alcohol that was reputed to be of unequaled quality in the Jefferson County. Guthrie Ambulatory Health Care Clinic, opened in January 1991, and in May was dedicated to the memory of Samuel Guthrie. Charles Martin Hall, (born Dec. 6, 1863, Thompson, Ohio, U.S.—died Dec. 27, 1914, Daytona Beach, Fla.), American chemist who discovered the electrolytic method of producing aluminum, thus bringing the metal into wide commercial use. While a student at Oberlin (Ohio) College Hall became interested in producing aluminum inexpensively. He continued to use the college laboratory after his graduation in 1885, discovering his method eight months later. Paul-Louis-Toussaint Héroult of France independently discovered the identical process at about the same time. 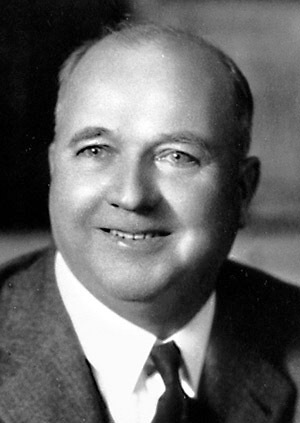 After several failures to interest financial backers, Hall obtained the support of the Mellon family, and the Pittsburgh Reduction Company (later the Aluminum Company of America) was formed. In 1890 he became its vice president. By 1914 his process had brought the cost of aluminum down to 18 cents a pound. Hall was a generous benefactor of his college, bequeathing Oberlin more than $5,000,000. Valentin Petrovich Glushko, (born Aug. 20 [Sept. 2, New Style], 1908, Odessa, Ukraine, Russian Empire—died Jan. 10, 1989, Moscow, Russia, U.S.S.R.), Soviet rocket scientist, a pioneer in rocket propulsion systems, and a major contributor to Soviet space and defense technology. 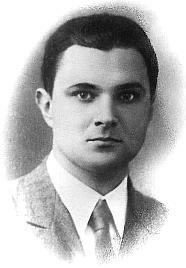 After graduating from Leningrad State University (1929), Glushko headed the design bureau of Gas Dynamics Laboratory in Leningrad and began research on electrothermal, solid-fuel, and liquid-fuel rocket engines. Working together from 1932 to 1966, Glushko and renowned rocket designer Sergey Pavlovich Korolyov achieved their greatest triumphs in 1957 with the launching of both the first intercontinental ballistic missile in August and the first successful artificial satellite, Sputnik I, in October. In 1974 he was named chief designer of the Soviet space program, in which he oversaw the development of the Mir space station. Glushko received numerous official honours, including the Lenin Prize (1957) and election to the U.S.S.R. Academy of Sciences (1958). Benoît Fourneyron, (born Oct. 31, 1802, Saint-Étienne, Fr.—died July 31, 1867, Paris), French inventor of the water turbine. The son of a mathematician, he graduated in the first class of the new Saint-Étienne engineering school in 1816. While working in the ironworks at Le Creusot, he studied a proposal advanced by his former professor, Claude Burdin, for a new type of waterwheel that Burdin named a “turbine.” Though neither the Academy of Sciences nor the Society for the Encouragement of Industry accepted Burdin’s paper, Fourneyron recognized its importance and undertook its realization. He built in 1827 a small, six-horsepower unit in which water was directed outward from a central source onto blades or vanes set at angles in a rotor. By 1837 Fourneyron had produced a turbine capable of 2,300 revolutions per minute, 80 percent efficiency, and 60 horsepower, with a wheel a foot in diameter and weighing only 40 pounds (18 kilograms). Besides its more obvious advantages over the waterwheel, Fourneyron’s turbine could be installed as a horizontal wheel with a vertical shaft. It achieved immediate international success, powering industry in continental Europe and in the United States, notably the New England textile industry. But the real significance of the invention did not emerge until 1895, when Fourneyron turbines were installed on the American side of Niagara Falls to turn generators for electric-power production. 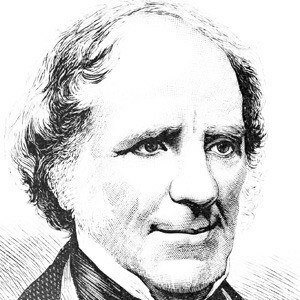 Fourneyron perceived the potential of steam-driven turbines, but his attempts to make a satisfactory steam turbine were thwarted by the inadequacy of available materials and workmanship. Eugen Baumann (12 December 1846 – 3 November 1896) was a German chemist. He was one of the first people to create polyvinyl chloride (PVC), and, together with Carl Schotten, he discovered the Schotten-Baumann reaction. Baumann was born in Cannstatt, which is now part of Stuttgart. After he attended a gymnasium in Stuttgart, he was educated in the pharmacy of his father. During his time in Stuttgart, he already attended the lectures of Hermann von Fehling at the University of Stuttgart. To broaden his education, he went to Lübeck and Gothenburg to work in pharmacies there. Later, he studied pharmacy at the University of Tübingen. He passed his first exam in 1870 and received his PhD in 1872 for work with Felix Hoppe-Seyler. He followed Hoppe-Seyler to the University of Straßburg where did his habilitation in 1876. The same year, Emil Heinrich Du Bois-Reymond offered him a position as the Head of the Chemistry Department of the Institute of Physiology in Berlin. In 1882, Baumann became professor of medicine at that institute, and subsequently obtained professor position at the University of Freiburg. In 1895, he took over the management of Hoppe-Seyler's Zeitschrift für Physiologische Chemie with Albrecht Kossel. From 1883 till his death, Baumann was married to Theresa Kopp, the daughter of chemist Hermann Kopp, and they had five children. He died at the age of 49 due to a heart problem. The organosulfur compounds of the urine were his starting point into the physiological chemistry. He identified the source for aromatic compounds in urine being the aromatic amino acids, such as tyrosine. He influenced the organosulfur chemistry by the synthesis of thioacetals and thioketals. These substances were subsequently used by other scientists, for example for anesthesia. Together with his coworkers, he was able to prove that thyroxine was the active ingredient in the thyroid gland. During his work at the physiological institute, Baumann, together with Carl Schotten, discovered a method to synthesize amides from amines and acid chlorides; this method is still known as the Schotten-Baumann reaction. Anders Knutsson Ångström (1888, Stockholm – 1981) was a Swedish physicist and meteorologist who was known primarily for his contributions to the field of atmospheric radiation. However, his scientific interests encompassed many diverse topics. He was the son of physicist Knut Ångström. He graduated with a BS from the University of Upsala in 1909. Then he completed his MS at the University of Upsala in 1911. He taught at the University of Stockholm Later, he was the department head of the Meteorology department at State Meteorological and Hydrological Institute (SMHI) of Sweden 1945–1949 and SMHI's chancellor 1949–1954. He is credited with the invention of the pyranometer, the first device to accurately measure direct and indirect solar radiation. In 1962 he was awarded the International Meteorological Organization Prize by the World Meteorological Organization. A pyranometer is a type of actinometer used for measuring solar irradiance on a planar surface and it is designed to measure the solar radiation flux density (W/m²) from the hemisphere above within a wavelength range 0.3 μm to 3 μm. Actinometers are instruments used to measure the heating power of radiation. They are used in meteorology to measure solar radiation as pyranometers, pyrheliometers and net radiometers. An actinometer is a chemical system or physical device which determines the number of photons in a beam integrally or per unit time. This name is commonly applied to devices used in the ultraviolet and visible wavelength ranges. For example, solutions of iron(III) oxalate can be used as a chemical actinometer, while bolometers, thermopiles, and photodiodes are physical devices giving a reading that can be correlated to the number of photons detected. Born January 22 1916, died October 5 2013. Ruth Benerito, who has died aged 97, was an American chemist and inventor; among her 55 patents was a process for treating cotton that would lead to the creation of wash-and-wear fabrics, effectively revitalising America’s cotton industry. From the early 1950s Ruth Benerito was a physical chemist at the Southern Regional Research Center for the United States Department of Agriculture (USDA), where her early work had focused on creating an intravenous fat emulsion that could be used to provide hospital patients with sufficiently high-calorie nutrition. In 1958, however, she became head of a research team hoping to develop a new cotton-based fabric, as easy to care for as the nylons and polyesters that had enjoyed such popularity in the post-war years. Cotton’s biggest drawback, against its synthetic rivals, was its tendency to crease. This is down to the molecular structure of cotton fibres, which are comprised of long cellulose chains – polymers – held in place end-to-end by hydrogen bonds. Since these links are weak and easily broken, the heat and agitation of washing causes the molecules to shift position, resulting in the wrinkles that are corrected by ironing. Though early treatments using formaldehyde as a cross-linking agent were not wholly successful – the formaldehyde proved toxic and caused an unpleasant smell – the implications extended far beyond crease-free fabric. Cross-linking with other compounds would later produce stain-resistant and fireproof clothes, while Ruth Benerito’s study of epoxides led to separate breakthroughs in the film and paper industries, in the creation of epoxy plastics, and in the preservation of wood. The third of six children, she was born Ruth Mary Rogan in New Orleans, Louisiana, on January 22 1916. Her father, John, was a civil engineer; her mother, Bernadette, an artist and prototypical feminist. Both encouraged their daughter to pursue a scientific career from an early age. When she was 15 Ruth enrolled at Sophie Newcomb Memorial College, the women’s college of Tulane University, as one of the institution’s two female chemists, graduating with a BS in 1935, an MS in 1938 and a PhD from the University of Chicago in 1948. After earning her doctorate she became an assistant professor of chemistry at Newcomb College, a position she held until 1953 . Following her departure from the USDA’s Southern Regional Research Center in 1989, Ruth Benerito taught Chemistry at the University of New Orleans, before macular degeneration forced her into permanent retirement aged 84. Her home of 56 years was destroyed by Hurricane Katrina, and she spent the last years of her life in Metairie, Louisiana. Among the honours she received were the Federal Woman Award in 1968; the Garvan Medal from the American Chemical Society in 1970; and the Lemelson-Mit Lifetime Achievement Award in 2002. She was inducted into the National Inventors Hall of Fame in 2008. Her husband, Frank Benerito, whom she married in 1950, died in 1970. Born October 23, 1945 (age 73), West Bend, Wisconsin, United States. Known for first bulletin board system (BBS), XMODEM Protocol. 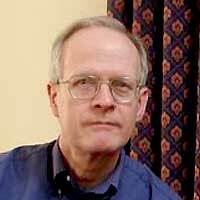 Ward Christensen (born 1945 in West Bend, Wisconsin, United States) is the co-founder of the CBBS bulletin board, the first bulletin board system (BBS) ever brought online. Christensen, along with partner Randy Suess, started development during a blizzard in Chicago, Illinois, and officially established CBBS four weeks later, on February 16, 1978. Christensen was noted for building software tools for his needs. He wrote a cassette-based operating system before floppies and hard disks were common. When he lost track of the source code for some programs he wrote ReSource, an iterative disassembler for the Intel 8080, to help him regenerate the source code. When he needed to send files to Randy Suess he wrote XMODEM. Jerry Pournelle wrote in 1983 of a collection of CP/M public-domain software that "probably 50 percent of the really good programs were written by Ward Christensen, a public benefactor." Christensen received two 1992 Dvorak Awards for Excellence in Telecommunications, one with Randy Suess for developing the first BBS, and a lifetime achievement award "for outstanding contributions to PC telecommunications." In 1993 he received the Pioneer Award from the Electronic Frontier Foundation. Christensen worked at IBM from 1968 until his retirement in 2012. His last position with IBM was field technical sales specialist. 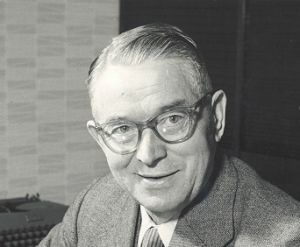 Danish toymaker Ole Kirk Christiansen (1891-1958) founded The LEGO Group, one of the world's largest toy manufacturers. A carpenter by training who began making wooden toys during the Great Depression, Christiansen devised the multicolored plastic blocks that could be fashioned into numerous combinations of colors and shapes and which went on to become one of the world's best-selling toys. Christiansen died in 1958, and his son inherited the company and turned it into a global powerhouse whose “brightly colored interlocking bricks have virtually revolutionized the worldwide toy market,” wrote Robert D. Hershey in the New York Times in 1977. Christiansen was born on April 7, 1891, in Vejle, a town in the Jutland peninsula of Denmark. He began tending his family's sheep in the fields at the age of six, and to pass the time during the long hours outside, he carved small wooden figures. Later, he trained under his older brother, Kristian Bonde Christiansen, to become a carpenter. Around 1916, he bought the Billund Woodworking and Carpentry Shop, and had several profitable years as a local home builder in the village of Billund, also in Jutland; during the slower winter months he made custom furniture. Along the way, he married and became the father to four sons. The Great Depression did not impact Denmark's largely agricultural economy immediately when it began in 1929, but by 1931 a flattened market brought a subsequent slowdown in Christiansen's home-building and furnituremaking business. He was also a widower by that point, and to make ends meet he began crafting more practical items in his woodshop. These included stepladders, stools for milking cows, and ironing boards, along with a few wooden toys that were made primarily from wood scraps. The yo-yos, cars, and animals he carved out of wood proved such a hit that he came up with a brand name around 1934 for them. Taking the Danish phrase leg godt, or “play well” he called the line LEGO. After World War II, Christiansen became intrigued by the possibilities offered by a relatively new material, plastic. In 1947, he acquired one of the first plastic injectionmolding machines in Denmark to make a new series of toys, such as a rattle shaped like a fish. His sons, now grown and working with him, cautioned that the new space-age material was too expensive and the possibilities too limited, but they were proven wrong over the next few years. In 1949, Christiansen introduced the first LEGO Automatic Binding Bricks, which in 1953 was shortened to just LEGO Bricks. When he visited a toy fair in England in 1954, one toy buyer for a retail chain told him there was no “system” in the world of toys, and this gave Christiansen the idea to create a series of LEGO items that could be purchased separately, but used with one another. In 1955, the LEGO System of Play was introduced, which featured little cars and miniature people that children could use to create a town. The first “Town Plan No. 1” package also came with a large plastic sheet that provided a basic urban layout with roads and sidewalks. Altogether, the line grew to include 28 separate sets, which were a hit with children in Denmark and neighboring Scandinavian countries. The company still produced the LEGO bricks, but there were complaints that the bricks did not stay together. In 1958, Christiansen's son Godtred Kirk Christiansen devised a radical innovation in the design for each brick: there were already eight studs on the top, to which three tubes were added to the bottom. This made them click together neatly, and the company even applied for and was granted a patent for this, which was called a stud-and-tube coupling. Unfortunately, Christiansen did not survive to witness the phenomenal growth of his company. He died on March 11, 1958, in Ribe, Denmark's oldest town. A year later, the company ended production of all wooden toys, and began moving into the larger European toy market over the next few years. In 1967, it introduced a Duplo line of plastic building blocks which were easier for younger children to put together. An agreement with Samsonite, the U.S. luggage manufacturer, to sell LEGO products in the United States proved to be an unwise strategy for conquering the vast American toy market, but Christiansen's sons had exited it by 1974 and moved to set up their own subsidiary in Enfield, Connecticut. This site began producing its own LEGO bricks in the early 1980s. LEGO bricks are manufactured on several continents, including South America and Asia, and the bricks themselves are built from specially made injection-molding machines, which are engineered “to achieve tolerances within two-thousandths of a millimeter, so precise that the bricks are said to lock a bit stiffly the first nine times but thereafter to grip perfectly for years,” wrote Hershey in the 1977 New York Times article. The LEGO Group headquarters are still located in Billund, Denmark, and Christiansen's grandson Kjeld Kirk Kristiansen (the spelling differs because of an error in the Danish vital records office), served as chief executive officer until 2004. Death: July 05, 1956 (74). 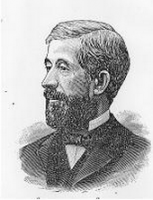 American inventor Lloyd Groff Copeman had nearly 700 patents to his name. He invented an early form of the toaster, many refrigerator devices, the grease gun, the first electric stove, and an early form of the microwave oven. His flexible rubber ice cube tray earned him millions of dollars in royalties. You can walk into any store and find one of his inventions. He was born on December 28, 1881. Copeman was raised by his Canadian parents on a farm in Hadley Township, Michigan which was later incorporated into Farmer's Creek, Michigan - located approximately 20 miles east of Flint, Michigan. He studied engineering at the former Michigan Agricultural College, now Michigan State University. His first successful patented inventions, in 1909, were the following: an electrothermostatic heat regulator for more effective control of stove and toaster heating elements, and a thermostat for high-tension power cables. Before this, while working for the Washington Electric Company in 1906, Copeman developed a design for an electric version of the gas stoves which had been available in Britain and the USA for several decades. Development of the idea took several years, but in 1912 the Copeman Electric Stove Company was formed in the city of Flint, Michigan to produce the Copeman Electric Stove (also marketed as the "fireless cooker"). Westinghouse Electric Corporation bought the company in 1917, moved production to Mansfield, Ohio, and continued to develop and improve the stove. From 1913, another of Copeman's inventions, a toaster with automatic bread turner, was also produced by the Copeman Electric Stove Company. Electric toasters were a recent invention at that time - the first commercially successful version was patented in July 1909 - and the bread had to be turned manually once the first side had been toasted. During a shopping trip, Copeman's wife Hazel gave them the idea for a toaster which turned the bread without manual intervention, and in 1914 a patent for what Copeman called the Automatic Toaster was filed in Hazel's name. Five other toaster-related patents were granted to both Lloyd and Hazel during the same year. The invention of the pop-up toaster in 1926 made Copeman's innovations redundant, however. A company called Copeman Laboratories Company had been established in Flint, Michigan during the year 1918 to allow Copeman to dedicate his time to inventing, although he also spent a lot of time at his farm in Farmer's Creek, where he would lock himself in the basement - sometimes for up to a week, with his wife bringing him meals on a tray - and develop new ideas and products. 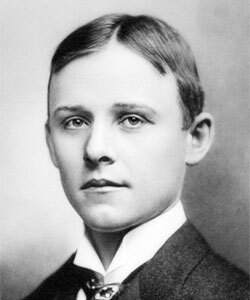 Examples of his work at this time, which met with varying success, included injecting chickens with solutions to make their meat taste like beef; pioneering experiments in the development of latex; the Copeman Lubri-Cap, grease-filled paper cups for lubricating wheel bearings (the patent for this product was bought for $178,000 by the Alemite Manufacturing Corporation, the same corporation that also owned the patent rights to the Zerk fitting); Flexoline clothes lines, which are still manufactured today; a device to use dry ice to cool bottles of beer; self-extinguishing cigarettes; and a rust-reducing latex coating for motor vehicles. Copeman's most successful and remunerative invention, however, was the rubber ice cube tray. One day in 1928, while walking through some woods collecting sap for maple syrup, he noticed that slush and ice flaked off his rubber boots easily, rather than adhering to them. Having recalled this incident over lunch with his patent attorney, he conducted experiments using rubber cups, and later set about designing and then patenting different types of tray: a metal tray with rubber separators, a metal tray with individual rubber cups, and a tray made completely of rubber. Sales from this invention earned Copeman approximately $500,000, equivalent to $10 million today. He married Hazel in 1904 and they had three children: Lloyd Berger Copeman (1907–1968), Ruth Mary Copeman Ronstadt (1914–1982), and Elizabeth Jane Copeman Gerlach (1918–1998). His granddaughter, Linda Ronstadt, is a legendary recording artist - who has been awarded a record 10 Grammy Awards to date - as well as one of the biggest-selling female singers of all time. Linda's mother was Ruth Mary Copeman Ronstadt, Lloyd's daughter. Ernst Abbe, (born January 23, 1840, Eisenach, Grand Duchy of Saxe-Weimar-Eisenach [now Germany]—died January 14, 1905, Jena, Germany), physicist whose theoretical and technical innovations in optical theory led to great improvements in microscope design (such as the use of a condenser to provide strong, even illumination, introduced in 1870) and clearer understanding of magnification limits. In 1873 he discovered the optical formula now called the Abbe sine condition, one of the requirements that a lens must satisfy if it is to form a sharp image, free from the blurring or distortion caused by coma and spherical aberration. As head of the Zeiss company, he reorganized the company and created many new benefits for its workers. In 1863 Abbe joined the University of Jena, rising to professor of physics and mathematics (1870) and director of the astronomical and meteorological observatories (1878). German industrialist Carl Zeiss sought to give the manufacture of optical instruments a sound mathematical and scientific basis rather than having it rely on trial and error, so in 1866 he hired Abbe as research director of the Zeiss optical works. Two years later Abbe invented the apochromatic lens system for microscopes, which eliminates both the primary and the secondary colour distortion of light. Zeiss made Abbe his partner in 1876 and named him his successor. Despite Abbe’s work, he and Zeiss were still dissatisfied with the quality of their glass, but in 1879 German chemist Otto Schott wrote Abbe about a new lithium-based glass he had produced that was ideal for Zeiss’s instruments. In 1884 Schott, Abbe, and Zeiss founded a glassmaking company, Schott and Associates Glass Technology Laboratory, in Jena. Abbe became head of the Zeiss company after Zeiss’s death in 1888. Abbe was concerned that future owners of Zeiss and Schott would tempted to enrich themselves at the companies’ and employees’ expense, so in 1889 he set up and endowed the Carl Zeiss Foundation to run the two companies. The foundation became the sole owner of Zeiss and of Abbe’s share of Schott in 1891. (Schott transferred his shares to the foundation after his death in 1935.) Abbe published in 1896 the foundation statute, which reorganized the two companies, with management, workmen, and the University of Jena sharing in the profits. The statute instituted many reforms that later became commonplace in Germany such as overtime and sick pay, disability assistance, a minimum wage, and at Zeiss a nine-hour day (which was shortened to eight hours in 1900). Neil Arnott (b. Arbroath, May 15, 1788; d. March 2, 1874 in London) was a Scottish physician. Neil Arnott FRS was a distinguished graduate of Marischal College, University of Aberdeen (AM, 1805; MD 1814) and subsequently learned in London under Sir Everard Home (1756-1832), through whom he obtained, while yet in his nineteenth year, the appointment of full surgeon to an East Indiaman. After making two voyages to China acting as a surgeon in the service of the British East India Company (1807-9 and 1810-11), he settled in London where he practiced from 1811-1854, and quickly acquired a high reputation in his profession. He gave lectures at the Philomathic Institution published as Elements of physics (1827). He was one of the founders of the University of London, 1836. Within a few years he was made physician to the French and Spanish embassies, and in 1837 he became physician extraordinary to the Queen. He was elected to the Fellow of the Royal Society (FRS) in 1838. He was a strong advocate of scientific, as opposed to purely classical, education; and he manifested interest in natural philosophy by the gift of 2,000 pounds to each of the four universities of Scotland and to the University of London, to promote its study in the experimental and practical form. He was the author of several works, bearing on physical science or its applications, the most important being his 'Elements of physics' (1827), which went through six editions in his lifetime. In 1838 he published a treatise on warming and ventilating, and in 1855, one on the smokeless fireplace. From his earliest youth, Arnott had an intense love of natural philosophy, and to this added an inventiveness which served him in good stead in his profession and yielded the Arnott waterbed in 1832, which later was developed into a water-filled chair intended to prevent seasickness. Other inventions include the Arnott ventilator, the Arnott stove, etc.